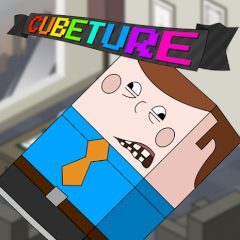 Welcome to the world of funny little cubes. Your task is to make your way to the exit trying to avoid nasty talkative tables and find your friend using arrow keys. Each level will bring you new obstacles and more adventure, and their ringing voices will amuse you a lot!